# 33 - 44, 1 And 2, 8th Main, 4th Cross, Sadashivnagar, Bangalore - 560080, Karnataka, India. 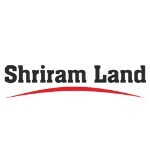 Incorporated in the year 2003, Shriram Land has been growing from strength to strength. Today, the Company is poised to make a mark in its chosen sector with several projects being launched across Bangalore.Shriram Land is committed to offering gated communities with state-of-the-art amenities in an eco-friendly environment that would satisfy & exceed all of its client's needs.